Jarzab (MAPH 07) and Zambreno (MAPH 02) will be here May 13 to read their work. Both novels reached bookstores this year to the fanfare of blushing reviews, and on Thursday their authors will return to the University of Chicago–where both earned master’s degrees–to read. 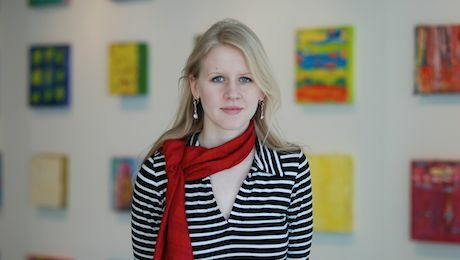 Anna Jarzab (’07) and Kate Zambreno (’02) will read at 4:30 p.m. in Classics 10, 1010 E. 59th Street, hosted by the Master of Arts Program in the Humanities, which some consider an alternative approach to creative writing. The reading is free and open to the public. The novels, both dark and psychologically complex, are very different. 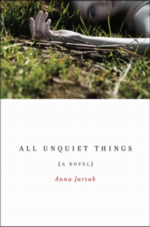 Jarzab (pronounced as a spoonerism of Czar Jab) developed All Unquiet Things as her MAPH Thesis project under the program’s creative thesis option. The book, which came out this January, is a young adult mystery novel about an unlikely pair of California prep school students that team up to solve a friend’s murder. This entry was posted in Alumni, Events, Publications and tagged Alumni, Events, Writing on May 6, 2010 by Liz. Jarzab (MAPH 07) and Zambreno (MAPH 02) will be here May 13 at 4:30 in Classics 110 to read their work. Save the date! We did this last year with MAPH poets, and it was amazing. Brought to you by MAPH and the Committee on Creative Writing. This entry was posted in Archive on February 16, 2010 by Liz.